It was a warm, gorgeous fall Sunday afternoon for the 2017 Hagenstein Lectures held at the World Forestry, October 15. It was hard to be indoors, but we had a house full of enthusiastic guests, great food and drink, and twelve fascinating speakers eager to share their perspectives. 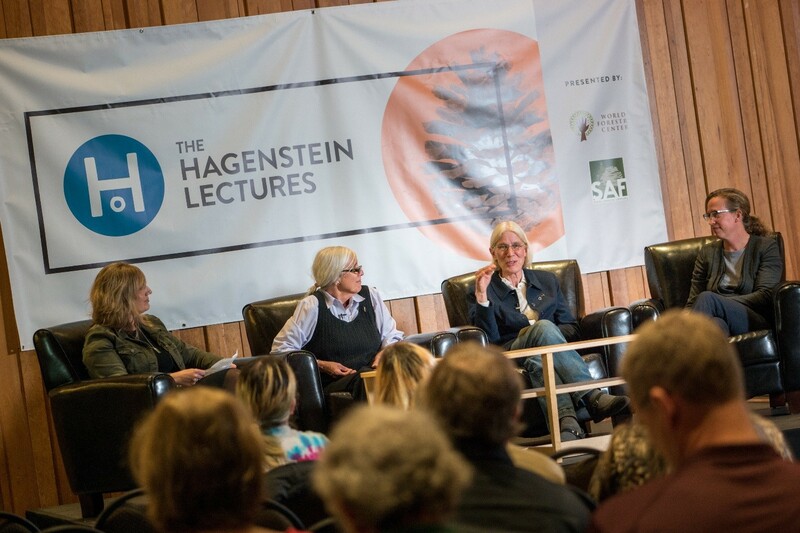 The Hagenstein Lectures is a program of the World Forestry Center and the Society of American Foresters (SAF) to honor the memory of legendary forester W.D. “Bill” Hagenstein who passed away in Portland at age 99 in 2014. Hagenstein was one of the founders of the Western Forestry Center, now the World Forestry Center, after the disastrous fire in 1964 that destroyed the beloved “old forestry building” from the 1905 Lewis and Clark Centennial Exposition and American Pacific Exposition and Oriental Fair in Portland, Oregon. Hagenstein helped rally the troops to build a grand new building in Washington Park designed by noted architect John Storrs. Hagenstein was an active ambassador for us and served on our board of directors for many years. Hagenstein was extremely proud to be a professional forester until the day he died. He was active with the SAF, serving as president from 1966-69, and is honored in our Forestry Leadership Hall. 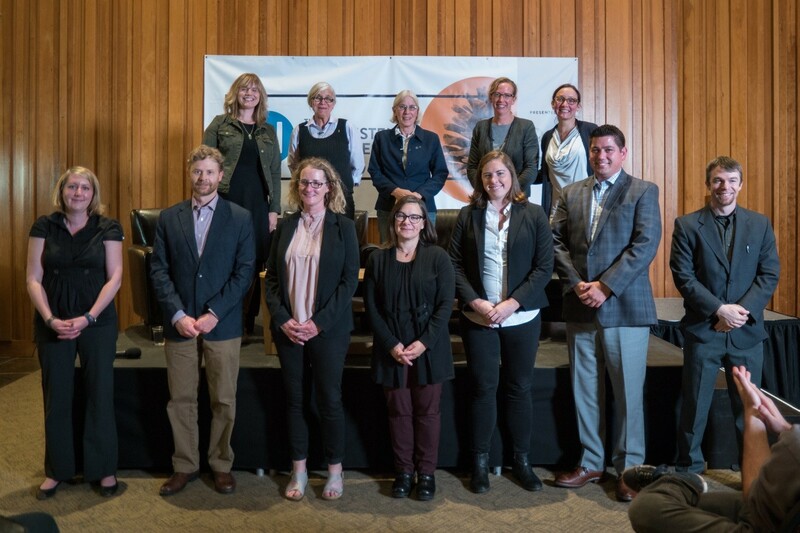 This year’s Hagenstein Lectures was notable for highlighting several women in forestry, and featuring an intergenerational panel that provided a wonderful opportunity for the panelists to share their experiences and cross-fertilize ideas. Meghan Tuttle, a forester with Weyerhaeuser, served as our energetic moderator for the three diverse panels covering a wide range of current issues. 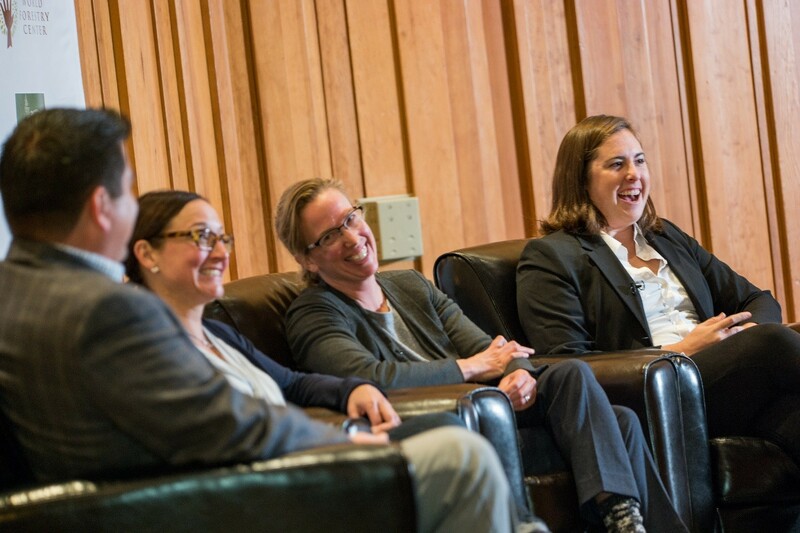 Green Wood/Green Buildings was hosted by Eric Farm of Barnes and Associates, and his panel was composed of professional foresters Nicole Strong, Forestry and Natural Resources Extension at Oregon State University, and Edie Sonne Hall, a Sustainable Forest Policy consultant. Rounding out the panel was special guest Kristin Slavin, an accomplished architect with PATH Architecture in Portland, who discussed the challenges and benefits of using sustainable wood in modern construction. Kristin reminded the audience: “We have the best trees you could want here,” and talked about emerging high-tech wood products with the potential to revolutionize construction, like the “tall timber” project going up at the Carbon 12 building in North Portland. Foresters in the City was hosted by Abraham Wheeler, a forester with the US Department of Interior Bureau of Land Management. Like Eric, Abe was a speaker at the 2016 Hagenstein event. Three young foresters on the panel included Michael Ahr, a forest conservationist with West Multnomah Soil and Water Conservation District, Angie DiSalvo of Portland Parks and Recreation, and Ciara McCarthy, an urban forester with ArborSurveys and Associates. The group kidded about seeing more people than trees on their daily rounds, but agreed that the problem-solving skills and the long-range perspective of foresters are sorely needed in our fast-growing communities. Questions of equity and diversity are challenges. “Trees are really the easy part,” Angie observed. It was a remarkable day with nuggets of wisdom for everyone. 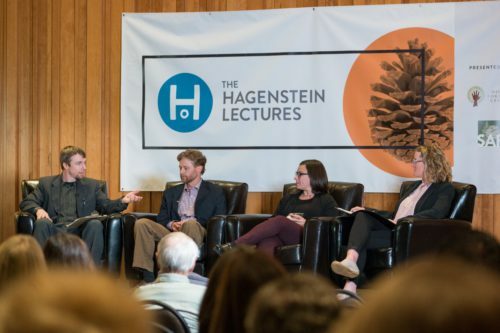 Far from the often-dry Iectures one so often attends at natural resource events, this year’s Hagenstein Lectures lived up to its goal of featuring emerging voices of forestry, in a conversational and interactive format. Our thanks to all of our speakers, sponsors, and partners, including SAF, Oregon Forest Resources Institute, Friends of Trees, and Hopworks Urban Brewery. Bill Hagenstein would have been pleased. 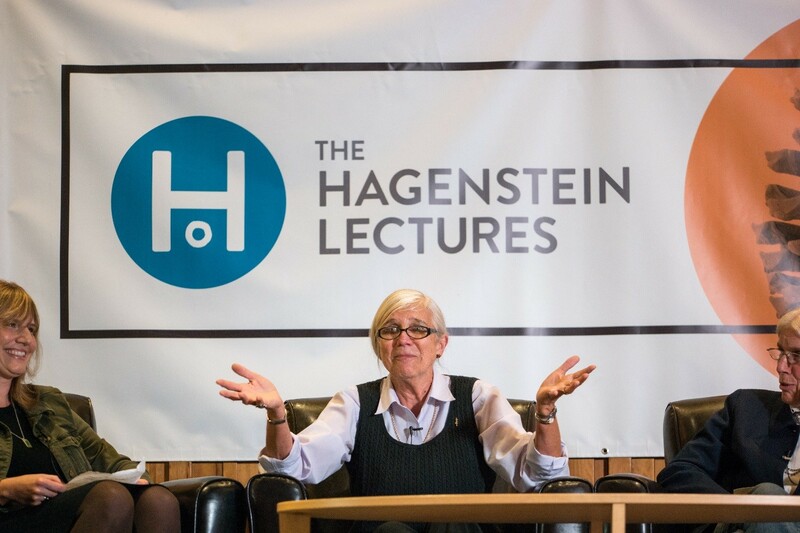 Thank you to everyone who attended the 2017 Hagenstein Lectures!